Enjoy daytime beach activities, and refreshing cocktails on more than 200 meters of pristine sandy beach, overlooking the clear waters of the Bulgarian Black Sea. 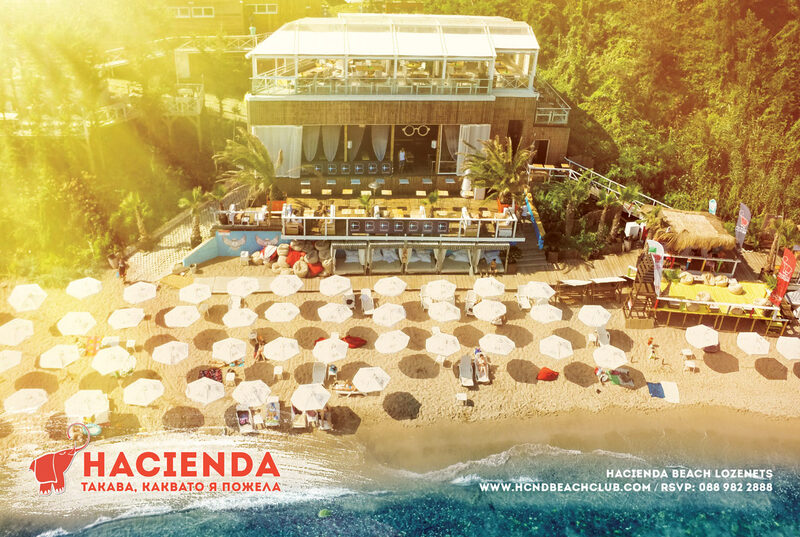 At night, world class DJs, live performances, and themed parties turn Hacienda into one of the liveliest night clubs on the Southern coast of Bulgaria. 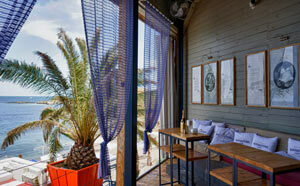 Our friendly and professional staff is committed to providing you the best summer beach experience in Bulgaria. Totally fell in love, this place got spiritual soul. I am in love with this place!! Big fun and lovely people. Hacienda has always been a symbol of freedom. The freedom of expression, dance, and care-free summer days. Summer 2018 in Hacienda Beach is Rebel Summer. A different kind of rebel. It’s not a rebellion against, but rather towards awakening the sleeping giants in all of us. We want to encourage self expression, in it’s purest form. We want our guests to feel free to live, laugh, dance, and experience live as we all should. There is nothing better than feeling the salty breeze, and knowing that any time you get here, you’ll have the best time of your life. We rebel for freedom. Freedom of communication and new adventures, freedom expressed through art, dance, and human interactions. Our main goal at Hacienda is, and has always been, to create the ultimate summer beach experience, filled with joy and unforgettable moments. The professional staff, and the top quality drinks and entertainment are all focused on this one goal. Be a rebel, be free, come and join us in celebration of the long summer days, and cool summer nights. An improved reservation system will let you book a table in less than 3 minutes right inside Facebook Messenger.